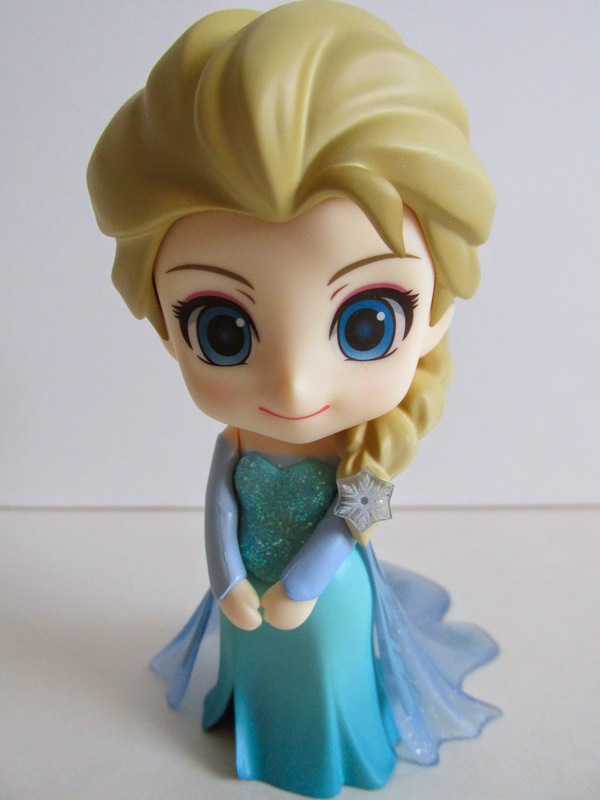 Frozen is a huge hit for Disney, and Good Smile Company has decided to capitalize on this franchise by releasing Elsa. 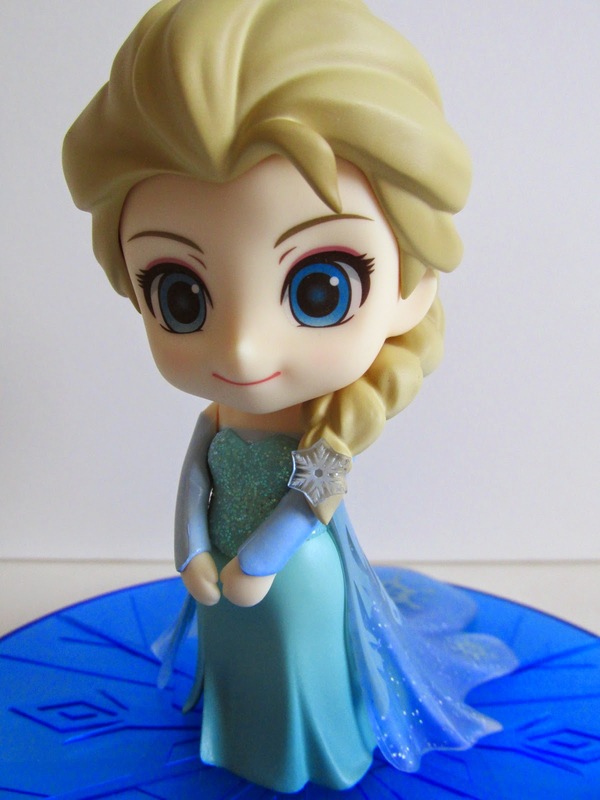 I'm happy to say that Elsa is not only a great addition to anyone's Frozen collection but also a great Nendoroid. Elsa looks great in Nendoroid form and is just a charming figure overall. The sculpting on this figure is exquisite and the figure has lots of details in the paint apps from the glitter painted bodice to the translucent dress train. Elsa also comes with a healthy amount of accessories. 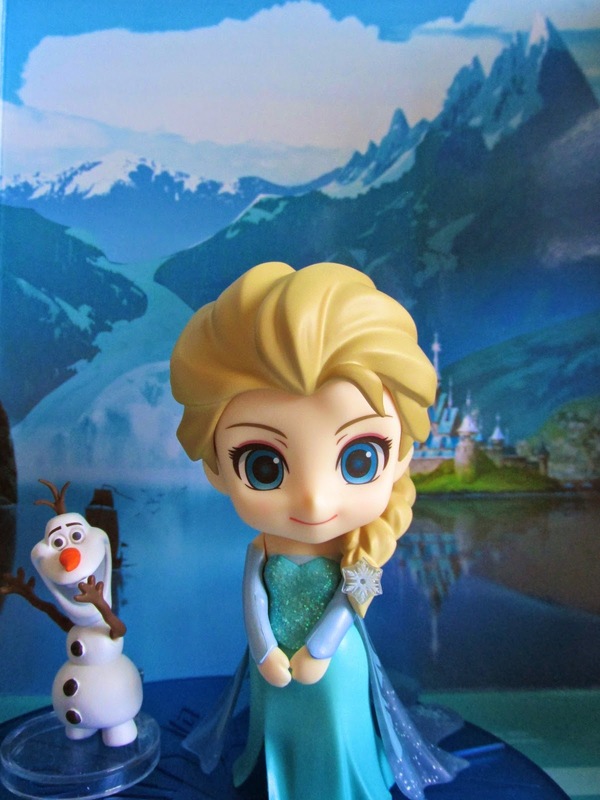 She comes with three face sculpts, a pair of reaching out arms, a pair of arms that rest at her side, a right arm to hold her snowflake, a snowflake accessory, blue snowflake base, and Olaf. 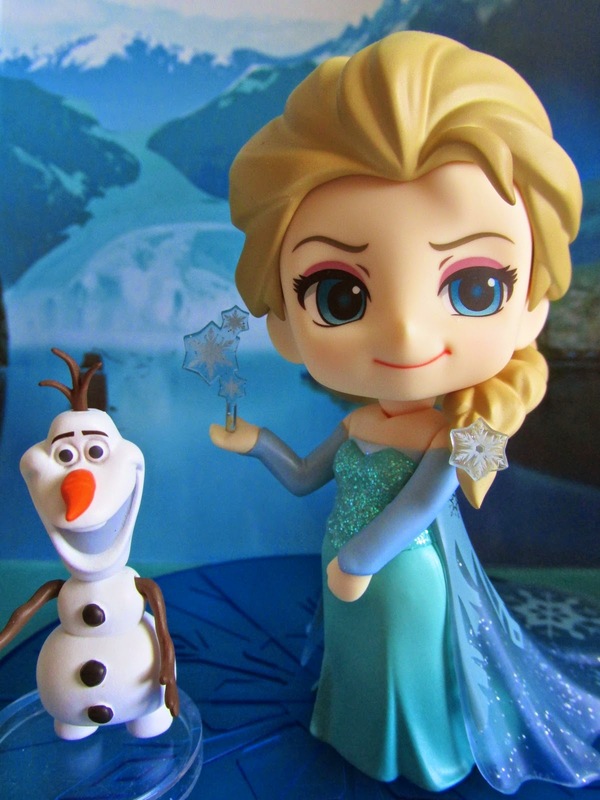 Olaf is essentially another paired down Nendoroid figure. He has limited articulation in his arms and head. His arms can move 360 degrees, but his elbows cannot bend. His head can also move 360 degrees and can even detach for those headless poses. He even comes with his own mini base. 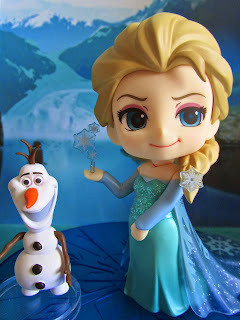 Elsa comes with her "Let It Go" singing face, neutral smiling face, and mischief face seen on most posters and promotional material. All three faces are perfect for this figure and gives you the option recreating all her iconic poses. Another accessory of note are her blue snowflake base and snowflake accessory. The blue snowflake base has no attachments or figure stands and is meant to essentially recreate her "Let It Go" sequence. 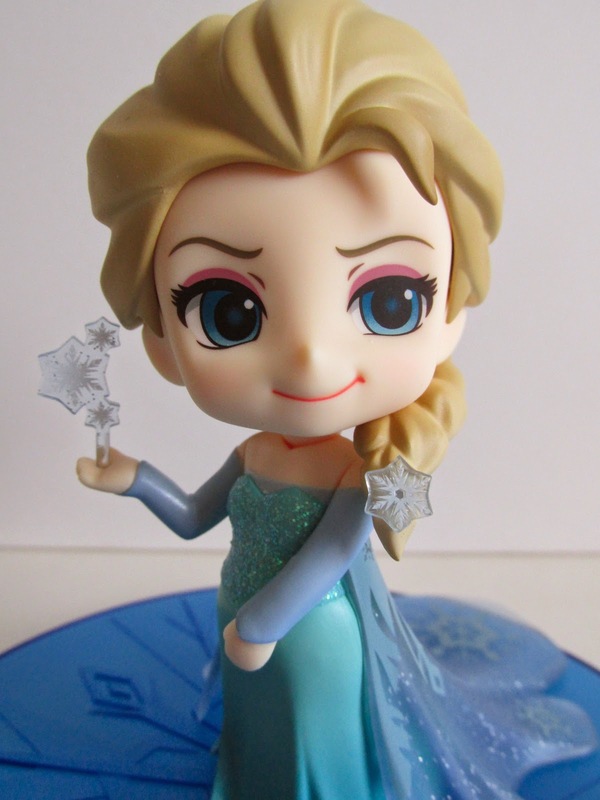 She can also hold a snowflake with her special right hand and no other hand or arm can hold this snowflake. Another bonus (hidden) accessory is actually the back drop that is used in the box display. 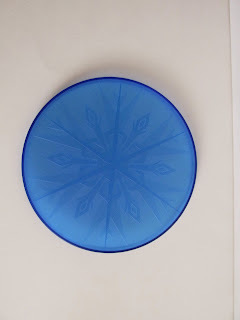 All you have to do is simply and carefully take it out from the box, and you instantly have Arendelle as a displayable backdrop. It's also worth mentioning that like all Nendoroid figures you can interchange the faces with other Nendoroid figures. In this case, I put Elsa's face into the Mark 42 Iron Man armor, and its another fun little bonus you can do with Nendoroid figures. 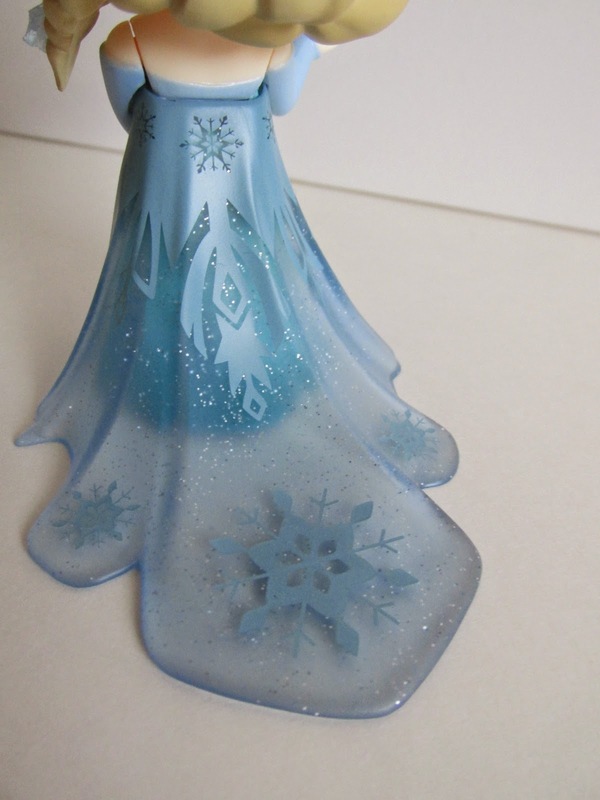 This is an easy buy for any Frozen and Disney fan...however, she seems to be sold out at most online retailers so good luck trying to find her. Here's hoping that Anna will get a Nendoroid release.